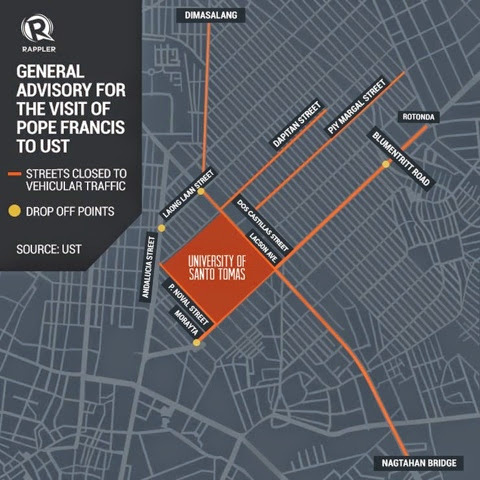 Pope Francis' Visit to UST! - Triple Joys!!! 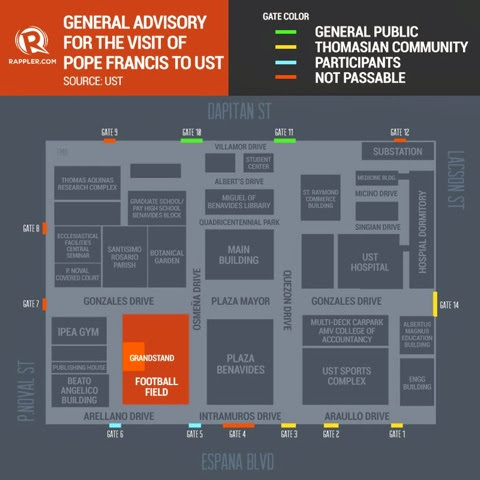 Pope Francis' Visit to UST! And just what I've been thinking days before, I've came across a blog post by the official blog site of my dear alma mater - all Thomasians are indeed welcome to the scheduled event at the University of Santo Tomas! 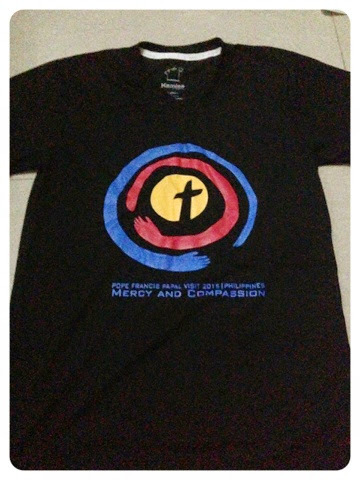 One just need to present proof that they are indeed a Thomasian. This is truly a very good news for all the Tomasino out there! Yippee! But of course, still, it will be on a first come, first served basis. So, I really have to be there very early If I really wanted to come. Oh, dear! Also, please find below a photo showing the corresponding gates which will be opened for specific audiences. Gates 1,2,3 & 14 will be opened for the Thomasian community. Please do take note too of the roads that will be closed surrounding the vicinity of the university, for safety purposes.